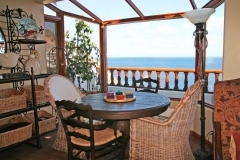 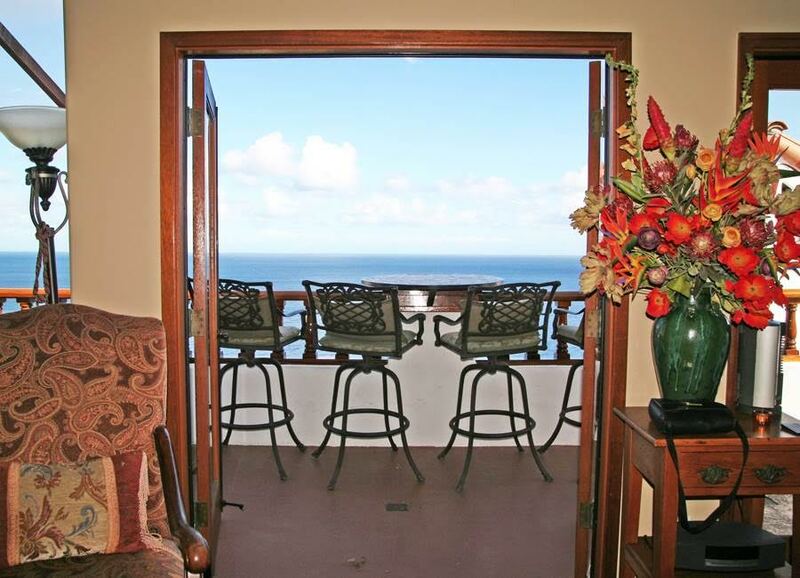 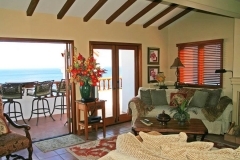 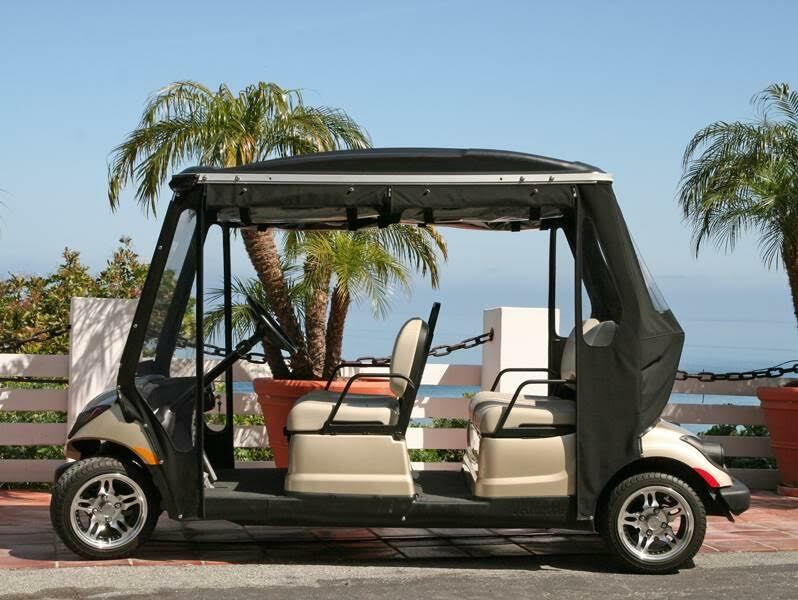 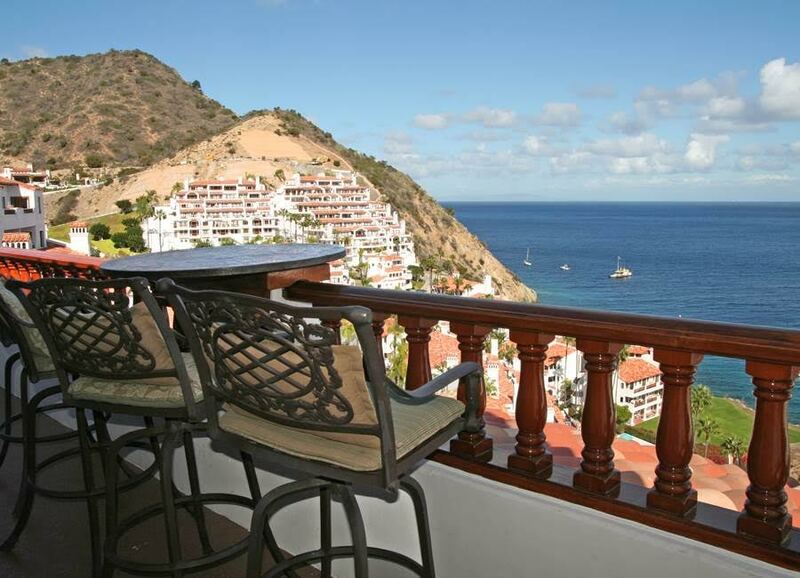 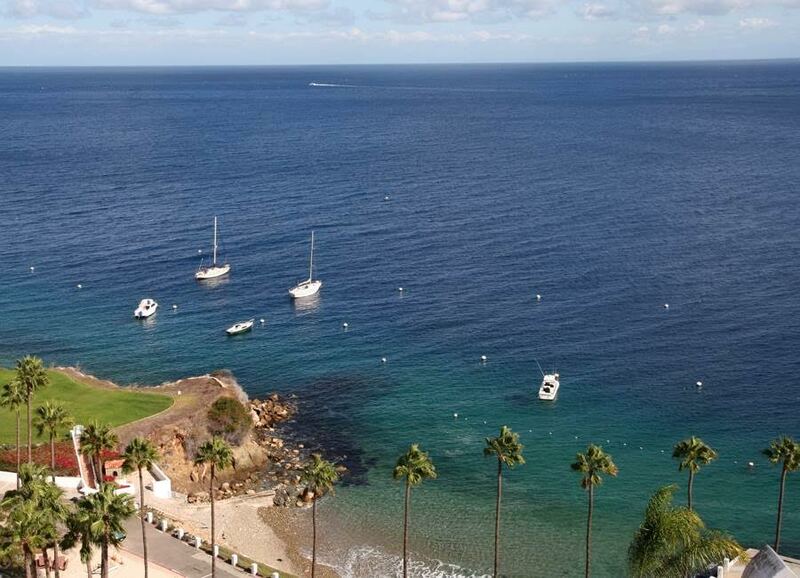 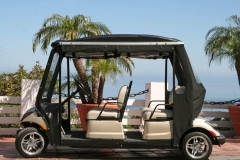 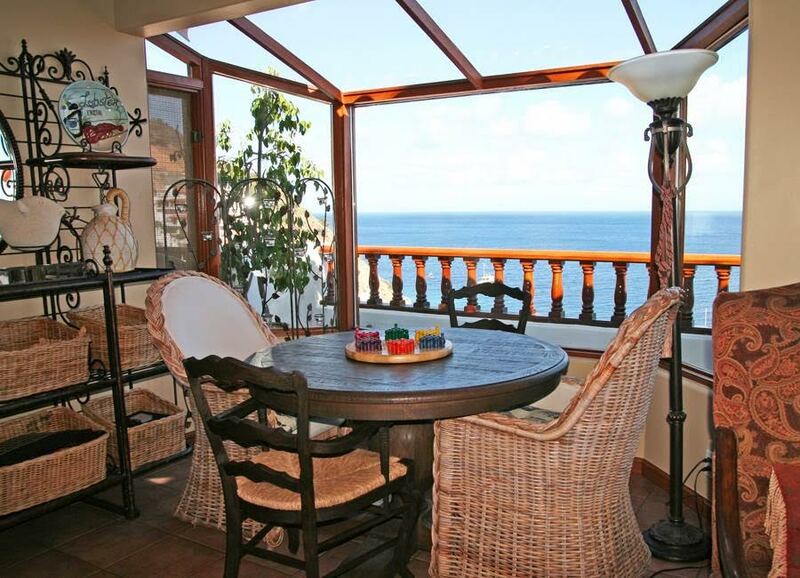 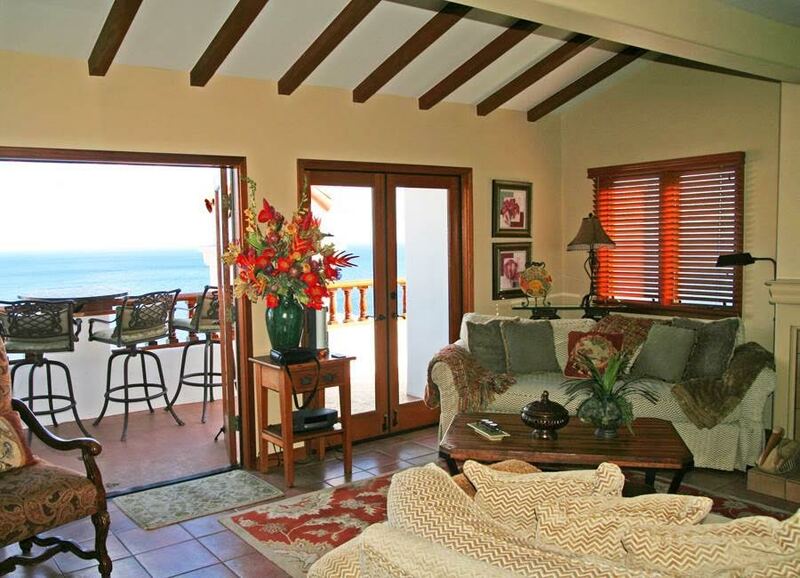 Luxuriously furnished villa for two, with fabulous ocean views and only 13 steps to your door. 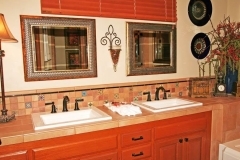 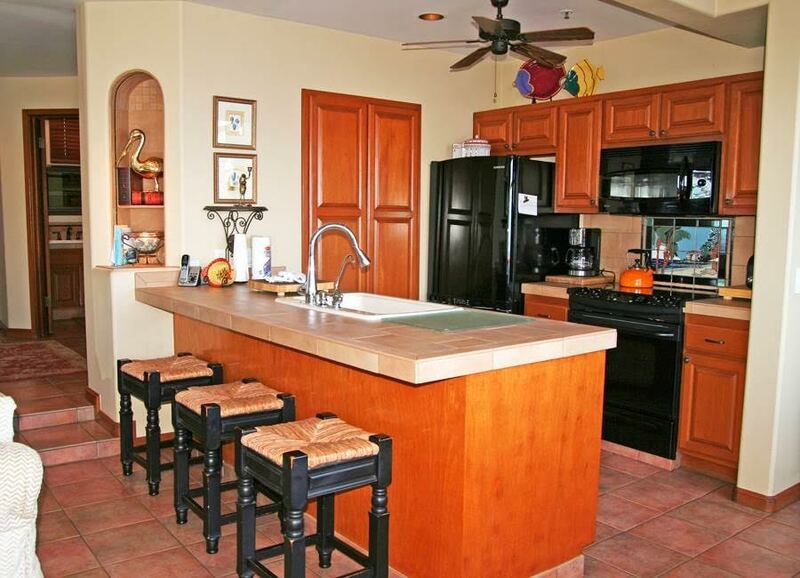 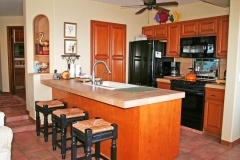 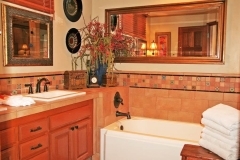 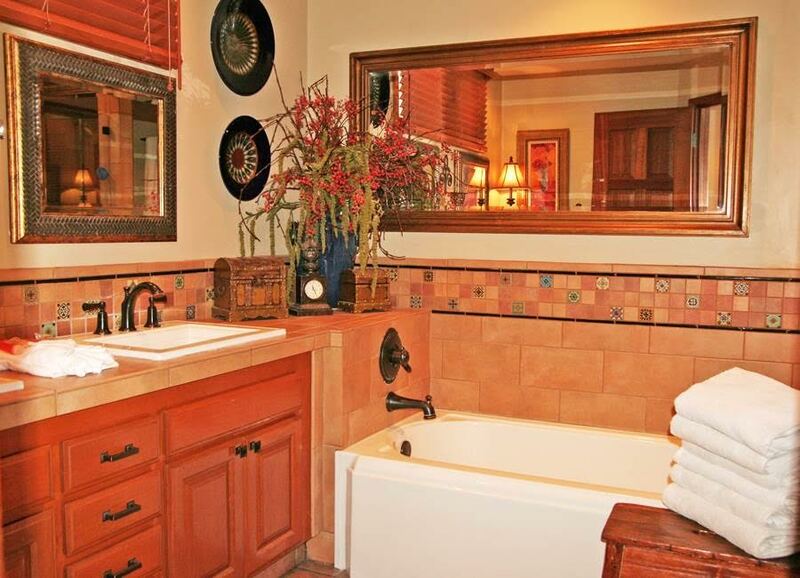 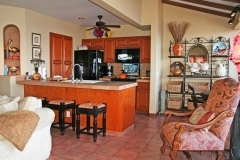 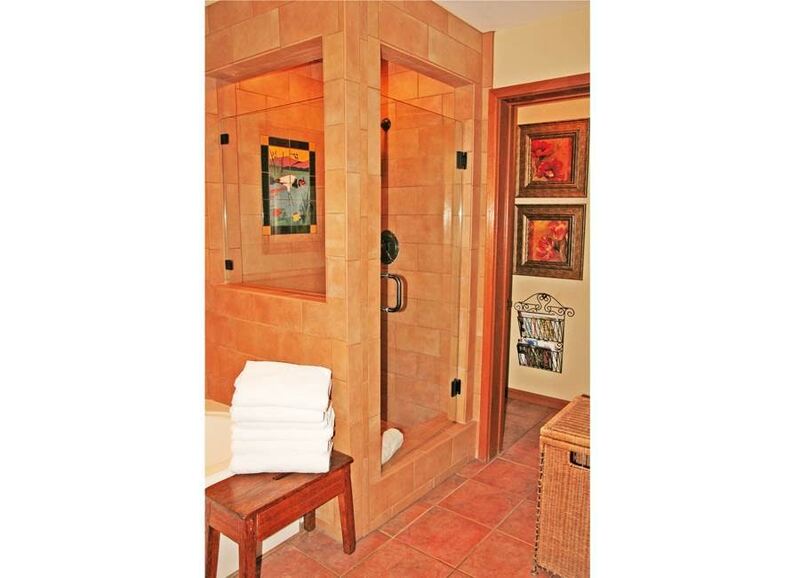 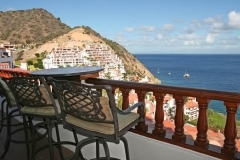 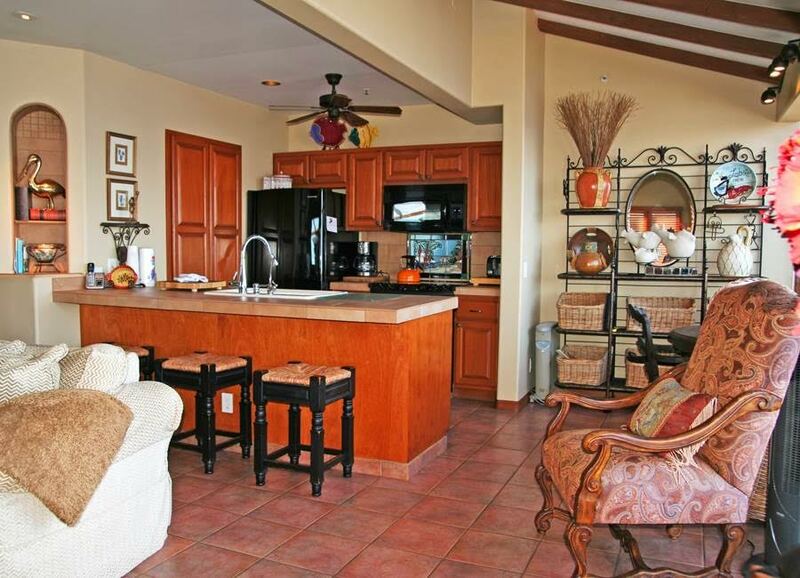 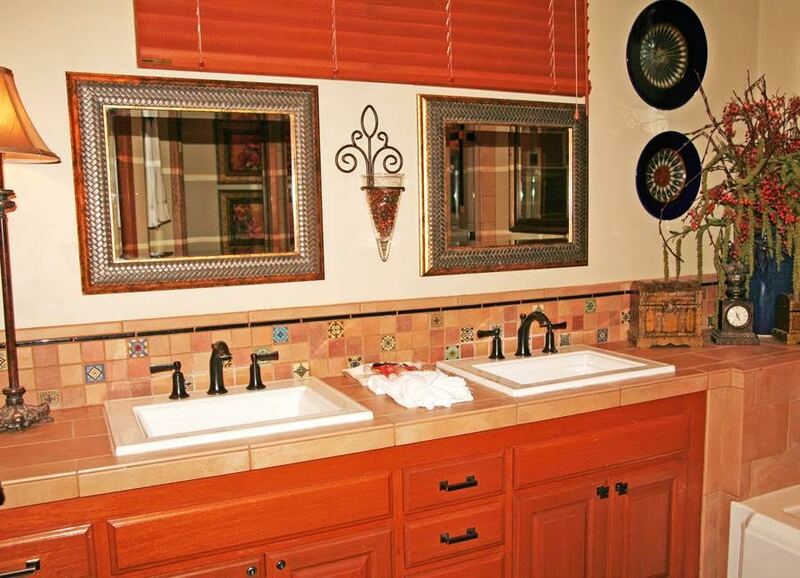 This villa boasts an all new kitchen and bathroom featuring Catalina tiles and murals. 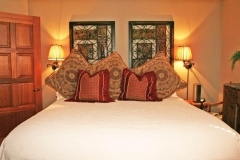 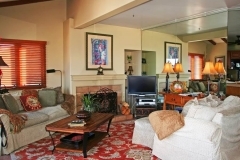 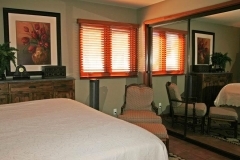 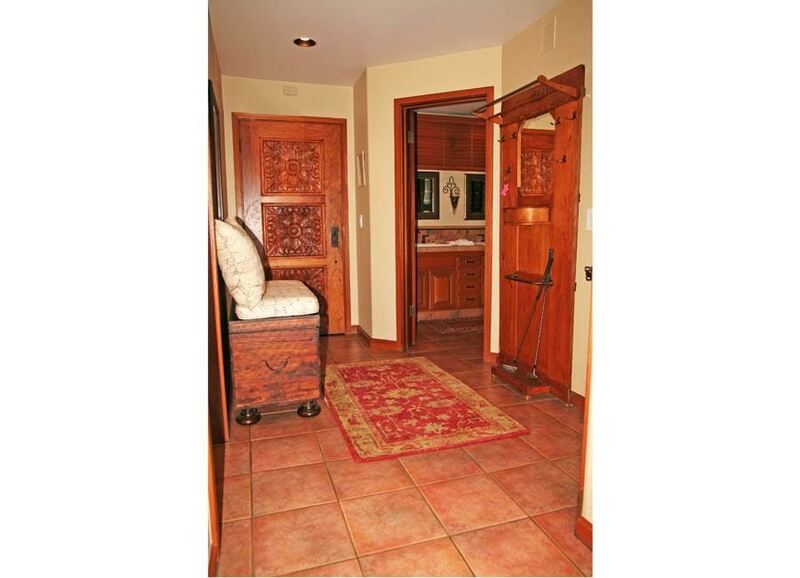 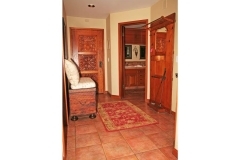 A rare villa offering a wood burning fireplace, king size bed and 32” LCD TV in the living room. 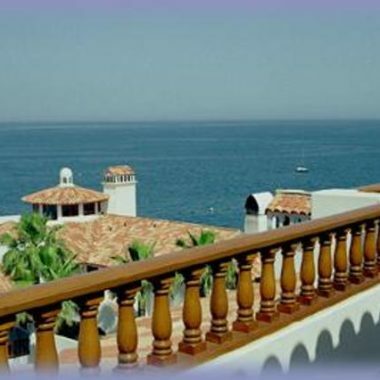 Many couples have been visiting this special place year after year, and this villa is commonly referred to as the “honeymoon suite.” A nice front patio with an outdoor living space provides cross ventilation during the warmer days. 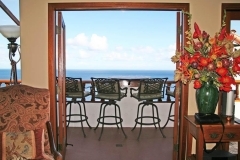 Most enjoy spending their time in a balcony chair overlooking the ocean with lights from the mainland appearing at dusk.